Our Encore Life began in 2013 as we closed the fulfilling chapter of full-time ministry at Salem Lutheran Church in Tomball, Texas. 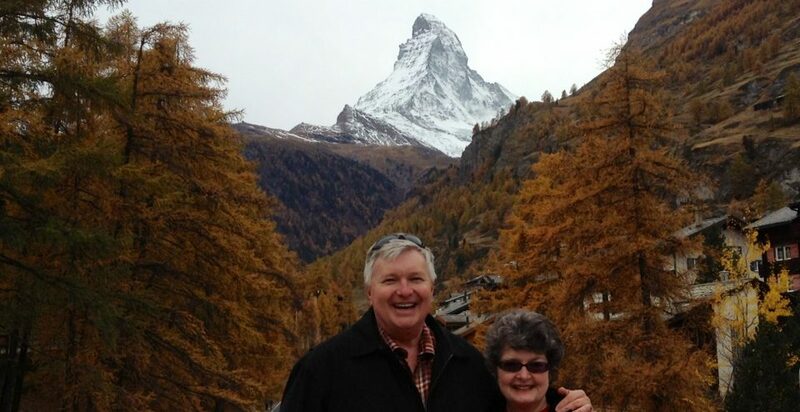 During the year 2013, we were privileged to travel in Europe and along the West Coast of our beautiful USA and had the joy of taking our grandchildren on a month-long adventure with visits to extended family and selected national parks. At the end of the year, we returned to our home in Tomball, Texas, and in 2014, we began fifteen months of God-blessed ministry at Pilgrim Lutheran Church in Houston. As we returned to our home in Tomball, a life-changing decision was made to "right-size" and move into a 55+ community in Montgomery, Texas, where we could still be near our children, grandchildren, life-long friends, and our church. Following our move, we had the pleasure of sharing Europe once again with friends in travels during 2015 and 2016. Our travels in May and June 2017 introduced us to the wonderful people and spectacular geography of South America in Ecuador and Peru. In the autumn of 2017, we explored both the ancient and modern, the rural and cosmopolitan, wonders of China and the Yangtze River while being able to visit Kourtnie Kroll, who was ministering from Salem in Shanghai, and our niece, Joy Stuhr, a teacher in Beijing. During the summer of 2018, God called Wayne to experience the joy of ministering again as Interim Senior Pastor at Lamb of God Lutheran Church in Humble, Texas. We invite you now, dear friends, to follow us on another adventure of our Encore Life as we cruise the Norwegian, Icelandic, and Scottish coasts and experience northern France with our dear friends and traveling companions.